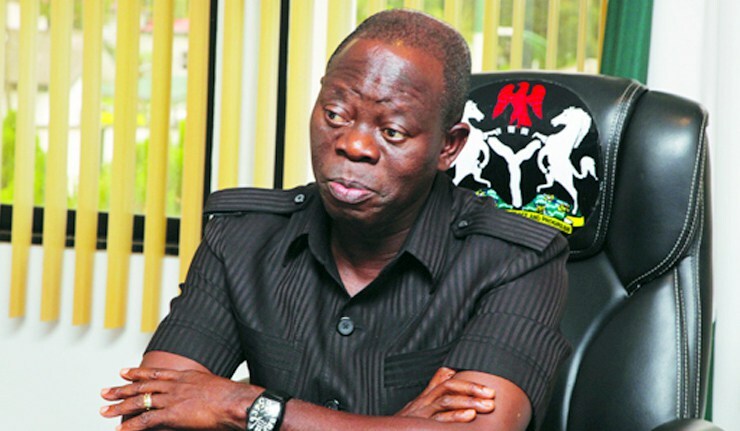 The National Chairman of the All Progressives Congress, APC, Comrade Adams Oshiomhole, on Sunday raised an alarm over plans by the former President Olusegun Obasanjo to impose a proxy president in 2019. While castigating the Peoples Democratic Party, PDP, and Obasanjo, he stated that never again would Nigeria be ruled by opportunists. 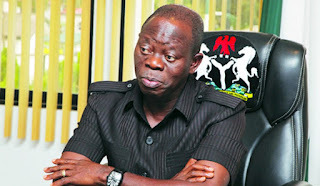 Oshiomhole stated this during a grand rally at the Sani Abacha Stadium, Kano state to welcome defectors from the state chapter of PDP and the Kwankwasiyya Movement to the APC. He pointed out that without the support of Obasanjo, Nigerians would still vote en masse for President Buhari. According to him: “ APC did not promise to reposition Nigeria in four years, as what the PDP destroyed in 16 years can never be fixed in three and a half years. “Today, those who through a single telephone would make billions of Naira have regrouped when they ran to Port Harcourt. They have forgotten that what they destroyed in the last 16 years could not be fixed in just three and a half years. “Today, our opponents in the PDP are crying even before the elections proper. They wrote a letter of complaint to the United Nations I wonder who will carry the letter for them, forgetting that it was them, who introduced a do-or-die affair politics during Obasanjo’s tenure. Buhari is highly respected across the globe, so he is bigger than rigging the elections. “Attempts being made by Obasanjo to impose a proxy president on the country in 2019 would never see the light of the day as Nigerians would vote en masse for President Buhari without the support of Obasanjo. The National Chairman of the PDP, Prince Uche Secondus stated this when he led members of the National Working Committee to receive the Special Representative of the UN Secretary-General for West Africa and the Sahel, Mr Mohammed Ibn Chambas, in his office in Abuja.